Anxiety. Discomfort. Fear. There’s only one way to summarize it: stepping out of your comfort zone is never fun. If you’re like me, or like many of my fellow shy, quiet, SJSU Spartans, going to a career fair is the last thing you want to do on a Thursday afternoon. Meeting with unfamiliar professionals, at an unfamiliar place, talking about unfamiliar things? No thanks. At least, that’s what I would have said prior to taking the Braven Accelerator Course. Now, as a Post-Accelerator Fellow (PAF), I know better. While our journey might shift or change, our main goal as leading professionals should never falter: we need to strive towards every opportunity and grasp countless experiences, no matter how large or small, to continuously challenge ourselves and develop into the people we want to be. One of the easiest ways to gain valuable experience as an SJSU Spartan is to attend career fairs hosted by local communities. With that in mind, I partnered with the SJSU Career Center on a Thursday afternoon to document my experience. Here’s my adventure, and a few things to remember when attending career fairs as a PAF. Like any other college student, I unintentionally showed up late. An hour late. Surprisingly, there were many students lined up at the registration table waiting to enter when I arrived. While standing in line, a fellow Spartan introduced himself and mentioned that he scheduled time after his engineering class to attend the event. I learned that even if I’m busy, attending events before or after class can be helpful! Most career fairs are designed as a drop-in, drop-out type of event to accommodate college students. While it is recommended to experience the entire event, you are not required to stay the whole time. Entering the fair was phenomenal. There were 75 different organizations set up throughout the building. Each company had tables assembled with pamphlets, business cards, and recruits eager to network. Some organizations had recruiters wander the room engaging with shyer students along the walls or corners. I later found out that most career fairs require companies to pay for table reservations. That means recruiters want to hire students at their events! Organizations will be more than happy to talk to you about what they do. Treat the career fair as an impromptu interview. The cliché ‘dress for success’ goes a long way when attending networking events. Enter the fair as if you were starting the job on that day; wearing anything ranging from business-casual to business-professional. Learn more about dressing in business attire — after reading this article, I opted to wear a simple gray button-down with a black tie and khakis. While there were a handful of people wearing t-shirts and jeans, my outfit was a happy-medium alongside other Spartans who decided to wear business-casual attire. Career fairs will often have a list of employers on their website prior to the event. Take the time to research the companies you are interested in and learn about them. What’s their mission statement? Do their values align with yours? Why are you interested in this organization? When networking with a recruiter, sliding in small bits of trivia can help show interest and jump-start a conversation. I spent a good hour or two exploring employer websites before the event to prepare. One highlight, for example, was with one of SJSU’s nonprofit partners, City Year. 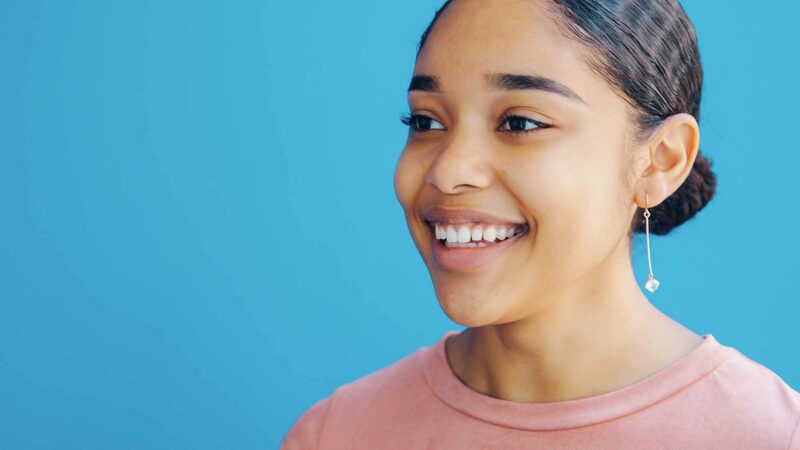 Because I had prior knowledge of the organization, I immediately engaged with the representative and found a way to connect my experiences with the position. The first thing you are given when arriving is a layout of the fair — a map with each table and the associated company. Take a few minutes and highlight four or five companies that interest you the most and plan ahead. Some tables will have longer lines than others. Although I wanted to visit the Cisco and Applied Materials table, I realized standing in line wouldn’t serve as the best use of my time. I could always circle back when there were fewer people. Take the opportunity to explore other organizations and broaden your network. Although I attended the fair alone, I noticed other students walking around in pairs. Experiencing a fair alone can be difficult. Extremely difficult, if it’s your first time. Going with a friend or two can ease stress or anxiety, and become a fun activity. I overheard two Spartans using the concept of ‘gamification’ to participate in the fair. Each student had an hour to visit as many organizations as possible, but companies only counted if they secured a LinkedIn connection. In the end, everyone’s a winner. The skills I learned during Braven became invaluable at the fair. Walking in knowing my hustle — what I want and how I can get it— saved me time and frustration. Being able to confidently network with others and explain my core values allowed me to fully benefit from the fair. Multiple recruiters asked, “What are your career goals?” during my conversations. Thanks to the projects I completed during the Braven program, I could clearly answer those questions. 2. Design Your Career Project. The first project during the Braven Accelerator course is the Design Your Career Project. The project asks fellows to create an action plan, understand their hustle, and formulate a personal roadmap. Using this information, I found specific companies that would help me progress towards those milestones. I knew that to achieve my goal, I needed to establish a strong understanding of different business systems by the time I graduate. Considering “business” is a broad subject, I decided to approach the fair differently. Instead of targeting specific companies, I chose different industries to learn from: City Year for nonprofits; KLA-Tencor for semi-conducting; Blackstone Gaming for customer-service; and Ross for retails. 3. Hustle To Career Project. Although the elevator pitch is part of this project, its importance during networking events merits its own category. The Hustle To Career Project focuses on tangible resources fellows can use to further their career. After creating an elevator pitch, resume, and cover letter, fellows are asked to conduct an informal interview. The experience I gained from completing this project prepared me to update my resume, practice networking, and strategize my career fair plan. PAFs can log back into their Braven portal (portal.bebraven.org) to access various Braven Resources even AFTER the program! Resources include technical interview tips and tricks, written communication guides, and design thinking frameworks. Take advantage of the knowledge gained throughout Braven and ace those events! At the end of the day, you have nothing to lose from going to a career fair. Don’t be afraid to meet new people! Leave a memorable impression and connect with those recruiters after the fair. Follow up in a few days with an email or LinkedIn message and maintain the professional connection. You never know when they can refer you to other opportunities! If I could attend this career fair again, I would actively promote my LinkedIn profile. Although having a printed resume is helpful, my resume is limited to one page of information. LinkedIn is the perfect resource that details my work experience and helps me message my connections without drafting a formal email. Furthermore, LinkedIn has made connecting easier with its in-app QR code readers. Career fairs can help jump-start your professional career. You have always been prepared for this. Take the first step and find that untapped potential. Best of luck at your next career fair! 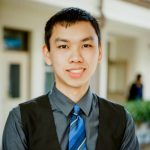 Jimmy Vo is a senior at San José State University studying professional, technical, business and scientific writing and Braven Post-Accelerator Fellow. Connect with Jimmy Vo on LinkedIn.